Cocktail Express duo, trio and additional option of a club DJ. Available for gala dinners, school balls, private parties, wedding receptions, festivals, outdoor event bands, award nights and corporate events. Cocktail Express are the complete entertainment package offering duo, trio and additional option of a club DJ to serve up the latest dance music, together with a selection of musicians including live Congas, Trumpet, Saxophone, Digiribone. Jodie-Joy is a versatile, polished performer with a superb voice. One of Australia’s finest adult contemporary vocalists, with versatility, performing popular covers (styles include jazz, cabaret, pop & classical). Jodie also has her own original songs available on request from her debut album which was released through Columbia Records. Jodie can be hired as an individual solo act, or add her jazz duo/trio or a fully choreographed, themed stage show complete with dancers and gorgoeous costumes. Her vocal and creative talents has led her to collaborate with some notable artists including Daniel Jones (Savage Garden), Audius (Delta Goodrem), Paul McDermott (Good News Wk Host), Paul Mac and Phil Burton of Human Nature. or you can choose a band package together with additional musicians such as saxophone and or DJ; Whatever best suits your event requirements. 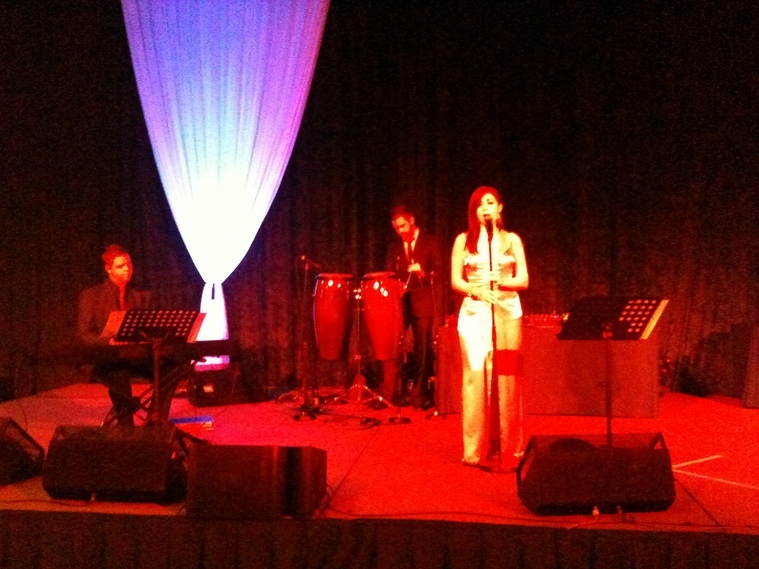 Singing laid back lounge style music and jazz to suit all tastes, Jodie-Joy delivers with ease popular cover songs including artists like Alicia Keys, Etta James, Leonie Lewis, Frank Sinatra and more…great for cocktail hour and high end events. In addition to being a polished performer, songwriter and a third generation singer, (Jodie’s grandfather was the late great tenor Dr Donald Smith OBE), Jodie is also known as one of Australia’s finest contemporary female singers. Her debut pop album, released through Columbia Records, shows the strengths of her remarkable range.